After watching the Star Wars prequels, I think everyone agrees that the new Star Wars trilogy is safer in any hands but those of George Lucas. And yet, if things had happened differently, we could now be anticipating/dreading Lucas’s version of Star Wars Episode VII (now Star Wars: The Force Awakens). 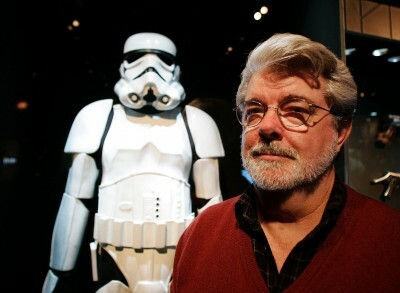 Lucas confirmed he had begun planning the next three Star Wars films, but that he only planned to direct the first one. Episode VII would have been released in May 2015, then he would have sold Lucasfilm, perhaps so he wouldn’t feel tempted to direct. But Lucas realized this trilogy would be another ten-year commitment, which is admittedly a ton of work. Disney entered the picture at the right time, and Lucas realized it would be better for him not to develop the new trilogy at all, leaving it completely to others. Of course, Lucas remains a consultant on the movie, but maybe that’s how it should be: offering some new ideas or reference that the actual creative team can choose to use or ignore as they please.